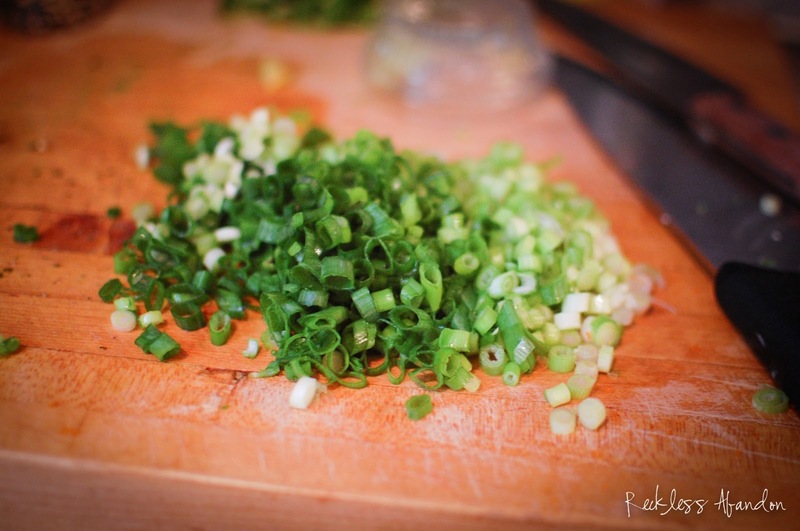 This post has two recipes, which I rarely — if ever —do, but they are both so easy that it seemed silly to do one for each. Blake and I had this as basically our meal one night...with a little Asian Marinated Cucumbers...oh and a Fresh Tuna Tower. We were stuffed. It's all so fresh, which is great, especially if you're trying to beat this summer heat. Sushi-grade fish is best purchased from a trusted source. 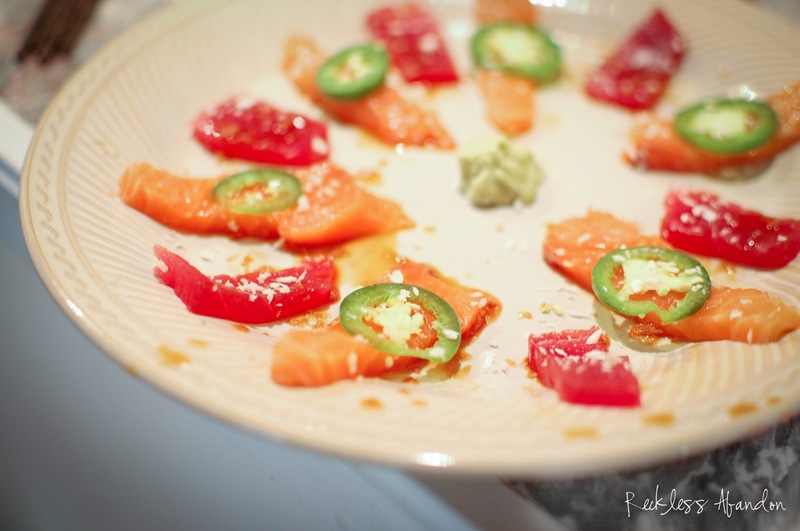 If you don't have a local fishmonger you love, order from Chef's Fresh Fish - they have a variety of sushi-grade fish that can be delivered to your door. For this recipe, order the Ahi Tuna Loin and Scottish Salmon, which are both sushi-grade and very high quality. 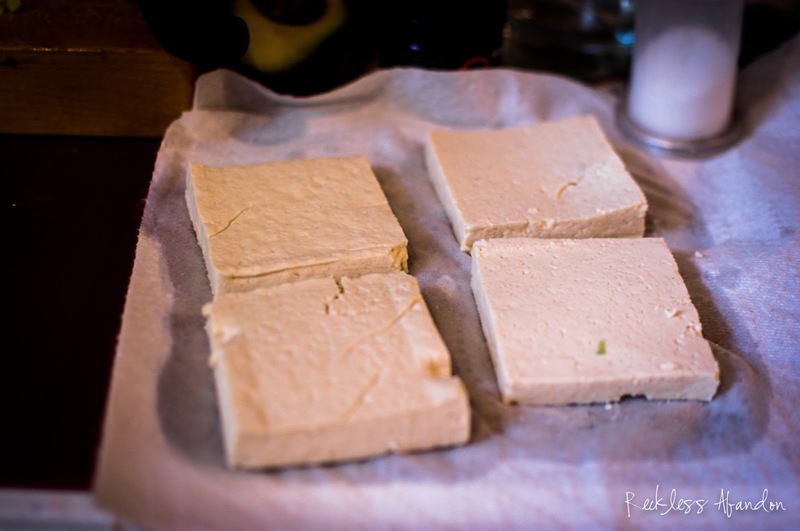 The first step is to remove the Tofu from the package and pat dry between two paper towels. 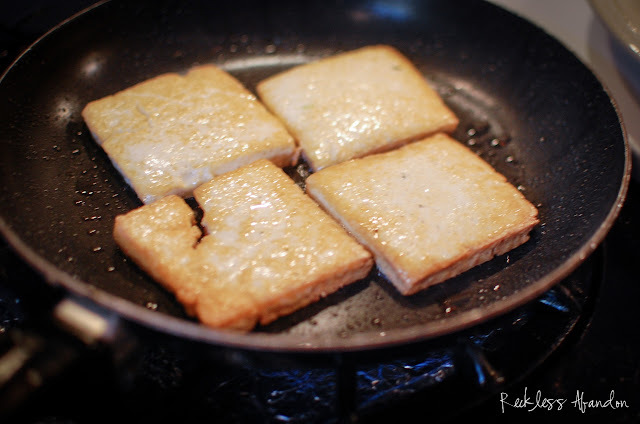 My tofu squares were a bit thick so I sliced each one in half. 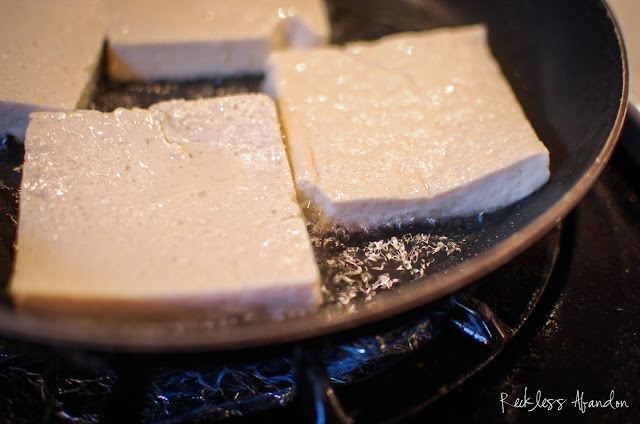 You can also place a plate over the tofu and paper towels to remove more liquid. Chop your green onions and heat your coconut (or vegetable) oil over medium high heat in a skillet. 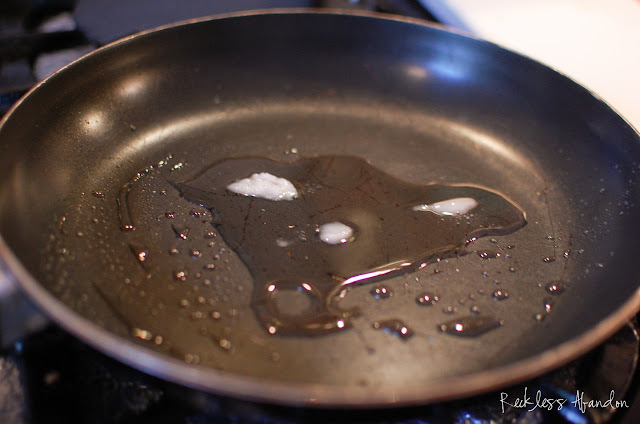 Once the oil is hot, add the tofu and sear on each side for a few minutes or until golden brown. 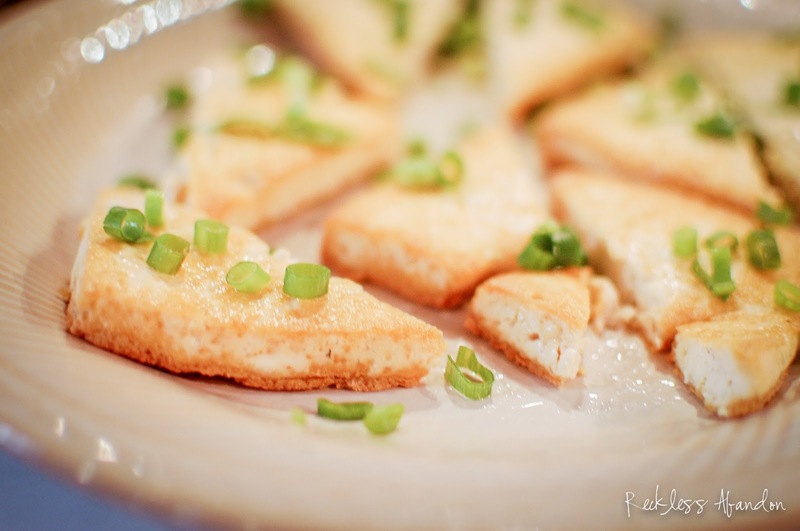 Remove and cut into wedges and serve with the green onions as a garnish. For the sushi, slice it very thinly and place on a plate. 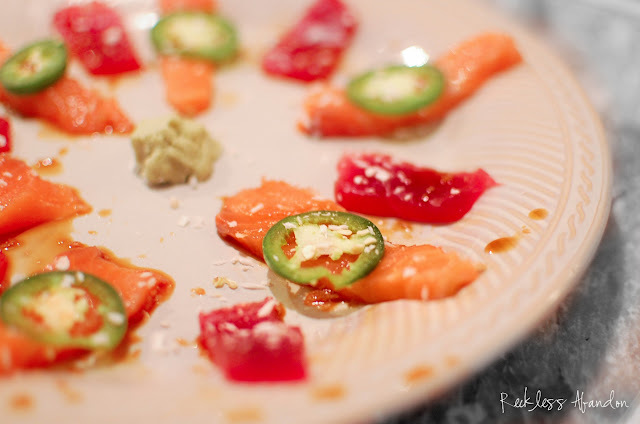 Top each piece with a thin slice of jalapeño and drizzle of ponzu sauce. We also put a dollop of wasabi in the middle to enjoy with our fresh fish.